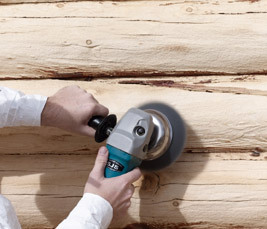 Surface Preparation is the first and most critical step for proper application of finishing products. Whether it is new construction or restoration, the log surfaces must be clean and, for best results, free of any previous coatings. 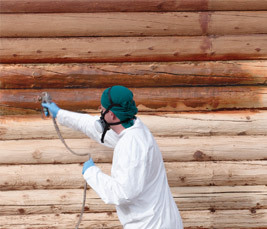 CPR is used to clean and brighten uncoated wood that is dirt, faded or gray from UV exposure. Mix CPR to the brightening solution strength for use on new construction just prior to staining to remove dirt and grime from the building process and to break down mill glaze. 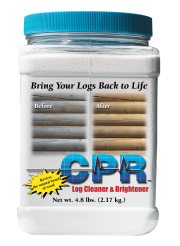 Use CPR for periodic cleaning on stained logs to extend the life of your stain.